If you plan on getting to know a quiet person a little bit more than you do now, then expect them to be thoroughly observing every single thing that you say and do the entire time you are with them. This is how we are able to understand people as well as situations a lot better than we already do.Yes, it’s easy to observe and that’s how we like it too. Quiet people definitely love going out to the bar every now and then but would rather much prefer staying at home having a couple of porch beers or cracking open a new bottle of wine we’ve been looking forward too. Bars are nice, don’t get us wrong, however, it can prove to be a little too loud sometimes when we are trying to talk to our friends and we aren’t able to understand anything that the other person is saying simply because of how loud the music is or how loud others at the bar might be. It’s nothing personal, we do love going out, but staying in and doing the same things can give us a lot of overall joy. This is where a lot of people misunderstand us when it comes to having our alone time. 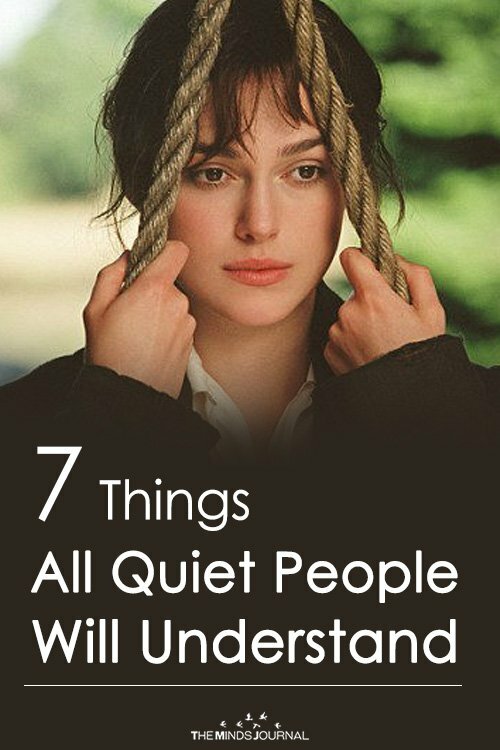 Don’t worry, prefer a LOT of alone time and not because we don’t like going out in public as much. We like being able to process everything that has happened to us throughout the day since we are constantly overthinking just about… Everything. We need a lot of alone time so that we are able to decompress, calm our thoughts, and allowing for more information intake for the following days. We also like to have our space to ourselves so that we are able to do the things we like to do in our free time that we would otherwise not get the chance to do. You really don’t have to worry about getting dressed up, getting your hair done, or anything that involves you looking absolutely amazing. Quiet people don’t really care for the surface appearance of the people that we actually like. We already like you for you there is no need for dressing up for us. This is also true for when you look your worst as well. We still think you’re an amazing human being that we absolutely love spending time with no matter what you look like! You could be puking your guts out for all we care, we are still going to stand by your side and probably even hold your hair back while you vomit. 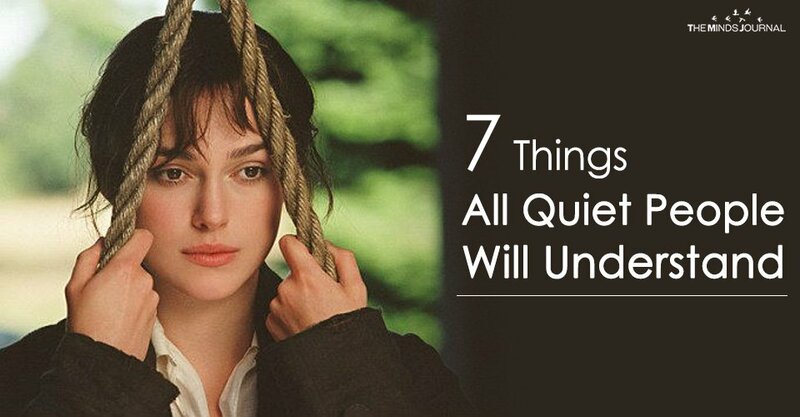 Hopefully, this has given you a better idea as to what it means being in the shoes of a quiet individual.